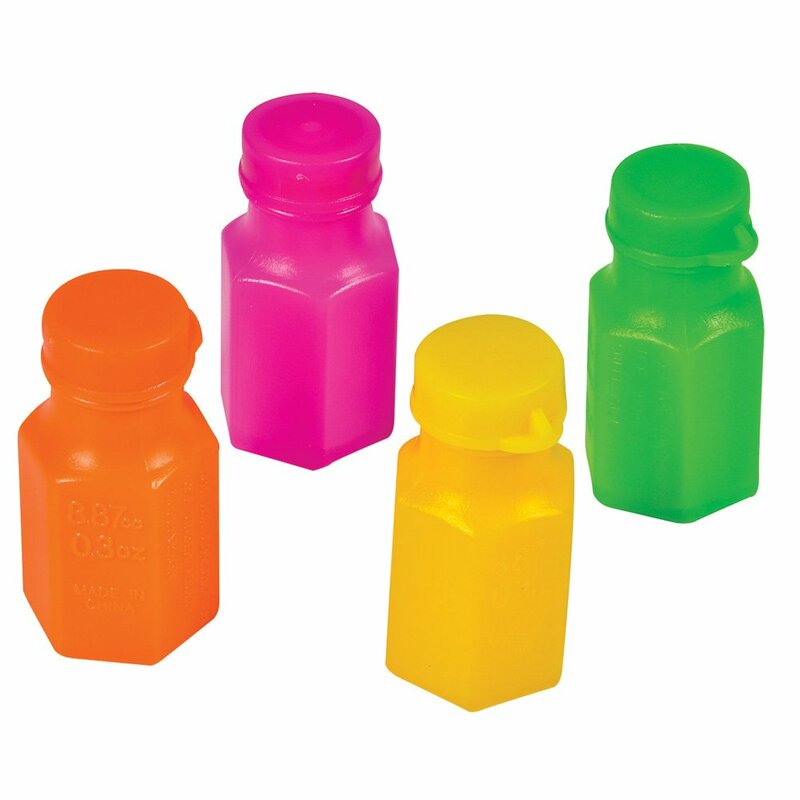 This collection of bubble fluid containers features a variety of vivid neoncolors and the wands connected to the caps. Each unit includes 48 pieces incolorful display box. For ages 5+.